As Crook and Jefferson Counties prepare for an onslaught of visitors in August during the eclipse fascination, Prineville goes about the business of building its economy via infrastructure improvements and data center development. Imagine an unemployment rate of 19 percent in 2011 that has now fallen to six percent. The average annual wage jumped from just over $31,000 in 2009 to almost $45,000 last year. 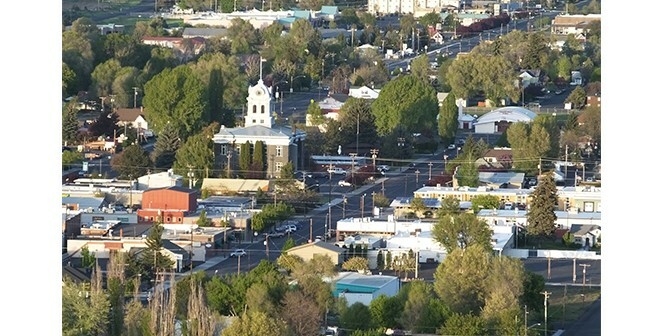 Caroline Ervin of Economic Development of Central Oregon (EDCO) sees Prineville’s economy growing stronger with room to grow current businesses and attract new ones. Earlier this year EDCO reported it is working with 10 companies who have the potential of creating 510 jobs that include a $3.2 billion capital investment. The City of Prineville has not been sitting on its laurels when it comes to ensuring services and sustainability projects for its residential and commercial users. It recently finished an effluent disposal wetland at the wastewater treatment plant, which will reduces future treatment costs while creating 120 acres of wetlands, two miles of improvement to the Crooked River, over five miles of trail and other amenities. Other significant projects include development of a 2.5 megawatt hydroelectric facility on Bowman Dam. The City is partnering with Crook County and Ochoco Irrigation District to provide renewable energy that will support more than 1,400 homes. The City is developing a feasibility study for aquifer storage and recovery. That method uses the natural water storage capabilities of underground aquifers as a cost-effective, scalable and ecologically friendly water storage alternative to traditional options such as above-ground reservoirs. But it’s the data centers that have put Prineville on the map in its surging economic direction. City Manager Steve Forrester said that more such companies are considering Prineville as a potential home — big name companies who are actively interested in the community. Facebook, the first data center to locate in Prineville, broke ground during January 2010. Since that time the company has added three additional massive buildings for a total of four of over a million square feet. Apple built a 10,000 square foot data center in 2012, followed that with two more 335,000 square foot buildings. Facebook now employs 160 people and hired more than 250 construction workers, representing 45 companies. Apple has about 130 direct jobs and 300 construction workers buildings their data center. The economic impact has been well above a 2014 economic study performed by ECONorthwest showing that Facebook’s data center brought $45 million in economic activity to the region in 2013. A particularly huge benefit has been the Facebook Prineville Data Center’s Local Community Action Grants of nearly 1.3 million since 2011 to support projects that put the power of technology to use for community benefit, help improve education at all levels, encourage the community to participate in local activities and bring diverse new opportunities to the area. Changes are happening fast in the commercial arena such as refurbished restaurant and retail space in Prineville’s northwest entrance. BVG Enterprises purchased three buildings on NW Madras Highway rebranding it the Crooked River Court. It includes more than 18,000 square feet of commercial space, including an 8,142 square-foot anchor building that backs up to the scenic Crooked River Wetlands and a new trail system currently being developed by the City of Prineville. BVG Enterprises owners Bill and Vicki Goodman said they’d love to see a mix of restaurants and retail, even an event venue for large gatherings in the Crooked River Court. A highlight for Prineville in 2016 was award-winning Bend-based developer Pacific Crest Affordable Housing (PCAH) unveiling its latest project with the opening of the 26-unit IronHorse Lodge in Prineville — providing much-needed accommodations for low-income seniors while also setting new standards for sustainability. According to a report recently from Commute Options Prineville is becoming Central Oregon’s next bicycling mecca. 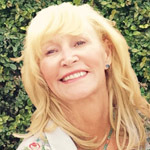 Part of that is due to Crook County and City of Prineville’s active community initiatives that include making biking and walking fun and safe for residents. Over the last few years, City of Prineville staff and community members have supported infrastructure and education programs that help residents stay active. The elementary schools have created “walking school buses” where kids and parents can all walk together to school, picking students up along the way. The City has developed extensive walking and biking paths throughout the city, connecting the schools to parks. Since 2013, it has added several miles of a combination of new sidewalks and off-street multi-use paths. In 2018, the City is planning on converting a roughly mile long stretch of railroad grade into a multi-modal trail. In a CBN Commute Options column they pointed to the recreation side — the less than a year old Prineville Bike Park is a huge asset to the City. Kids and parents alike spend hours riding bikes and many of them have become motivated to ride their bike instead of drive. And if you haven’t heard of Good Bike Company, it’s worth a trip to see Prineville’s first electric bike shop. Opened in 2014, the shop has seen an exponential growth in cycling, from young kids to older residents who want to ride a bike. 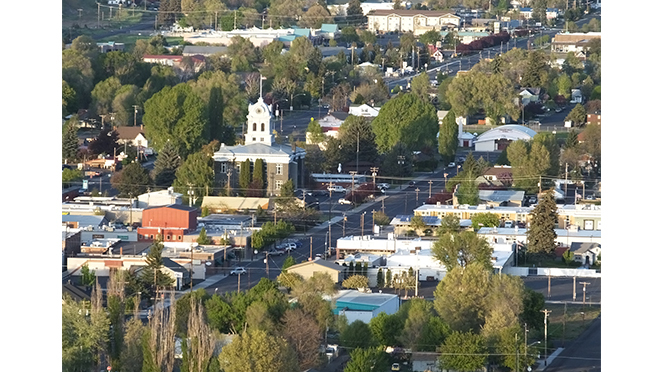 The image of Prineville with bikes and walking paths is new and seems to be changing the city from a quaint western town to an active small town with innovative growth as its main stream.